BeautyScraps: One Day Left for these Weekly Deals! One Day Left for these Weekly Deals! Just a reminder that the special pricing on these Weekly Deals goes away at Midnight tonight! Stampin' Up Weekly Deals change every Tuesday, so you have one day left for these prices! Be sure to subscribe to my blog to see how I use the Happy Patterns Decorative Masks! There is a tutorial coming on them for sure! I can't wait for them to arrive! 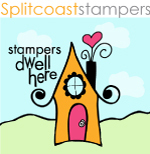 New Weekly Deals from Stampin Up!